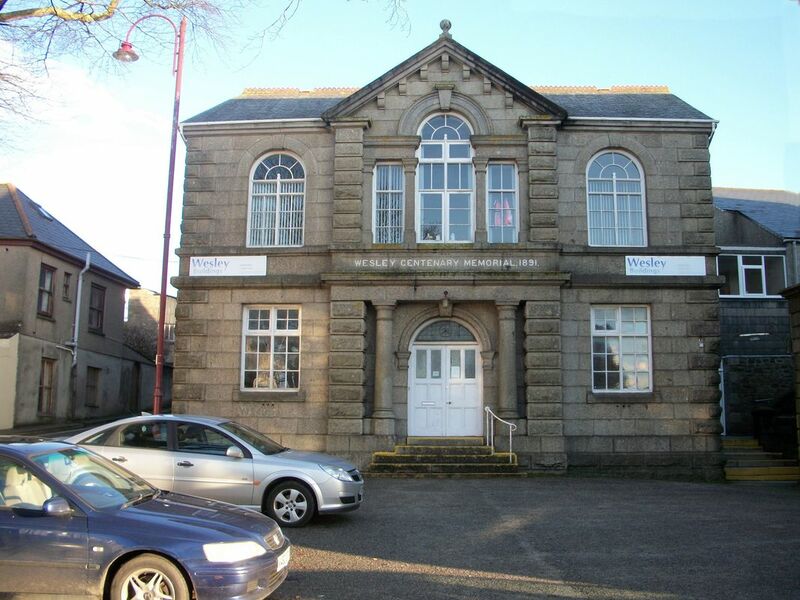 Meetings are held at the Memorial Hall at Redruth Methodist Church. 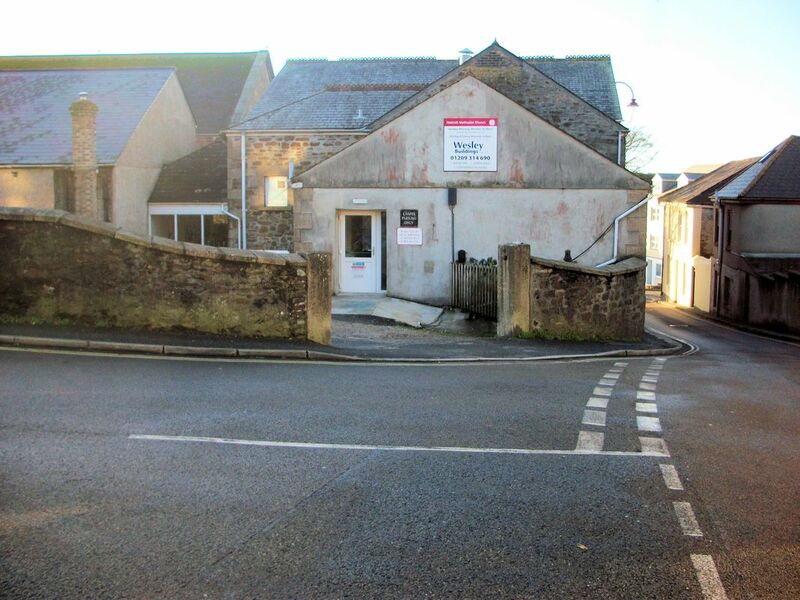 Redruth Methodist Church is easy to find - it is alongside the railway adjacent to the tunnel. Exiting the station from the up side turn right. There is free car parking in the evenings at Flower Pot car park just 100 yards away. Check out the location on Google Earth and use street view. There are quite good bus and train services from the station. We meet in the Memorial Hall which is on the first floor of this imposing building. The entrance for the hall is around the back. Walk up the narrow pavement to the left of the building. You will have walked up the narrow pavement alongside the road, entrance to the hall is through the white door seen in this view. Beyond the door a sloping passageway leads up to the Memorial Hall. on the 2nd Saturday of each month, starting at 18.30. 13 Just prior to Peter Gray's death in 2017, his good friend Amyas Crump was helping him to put together a special collection of Peter's photos to show to railway societies. Sadly Peter can no longer be with us – but we welcome Amyas with this collection. 10 In 2017 Paul published a new book on Plymouth's railways, having already become known for his research on Devonport Dockyard railways. This talk throws new light on the area's fascinating railway history. December In place of the advertised speaker, our meeting will be presented by Alex Green on the subject 8 of "The Story of Regional Railways". Alex will remind us of the very significant change that occurred towards the end of the nationalised BR era when the concept of sectorisation and the creation of InterCity, Regional Railways and Network South-East revolutionised the way Britain's railways were organised and run. Alex is the brother of well-known railway manager Chris Green who also once gave a most interesting talk to the CRS and we can look forward to another fascinating review of a very significant period. January Another ramble through Dave Letcher's railway adventures. 9 19.00 (approx) Members' Evening. Members are invited to offer short (10 to 20 minutes) talks on any railway theme, illustrated or not. Please see Peter Bragg or Derek Buttivant not later than the January meeting, to register your interest in taking part. 13 present a varied programme – Part 1 will be "55 Years of Railway Photography" and Part 2 will be "Trains in the Snow". .
11 The competition is for everyone and includes sections for some of those old but interesting images from the past. Following screening of the photo competition entries, Roger will again tease members' knowledge and memories with his inimitable quiz.